These tiny Sterling Silver Diplodocus Dinosaur studs are my absolute favourites from my collection. I was lucky enough to receive a pair of these as a gift from the brand when I first met them last year at The Big Blogger Conference and I've been wearing them a lot since. I have bought several pairs as gifts as well and even another pair for myself, as a back-up (as I do occasionally lose my earrings), I love them THAT much. And for just £5.95 a pair, why not? 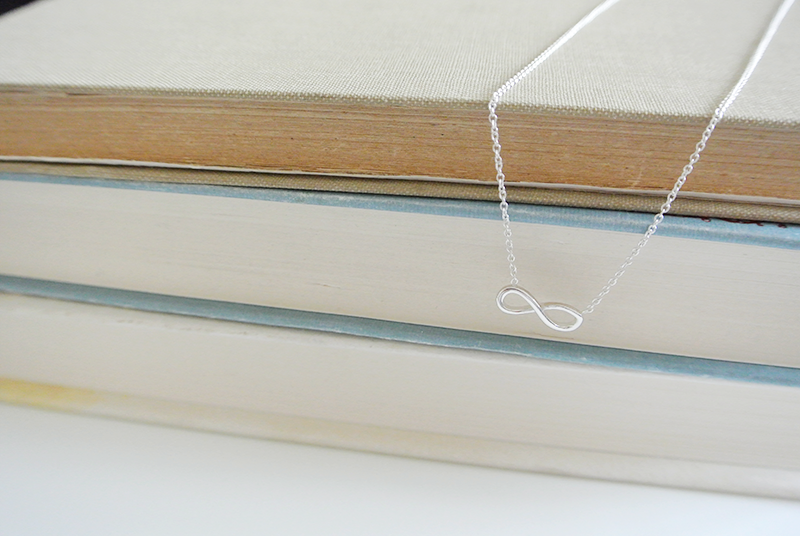 My second favourite piece of jewellery is one I wear several times a week: the above gorgeous Sterling Silver Infinity Necklace, which comes with an adjustable chain of 16-18 inches. I admit I initially bought it purely because it reminded me of the TV-show Revenge (for which the infinity symbol is the logo), but I love the subtlety of the necklace and it goes with practically everything, so it's definitely my staple and I'm tempted to get the matching bracelet next. 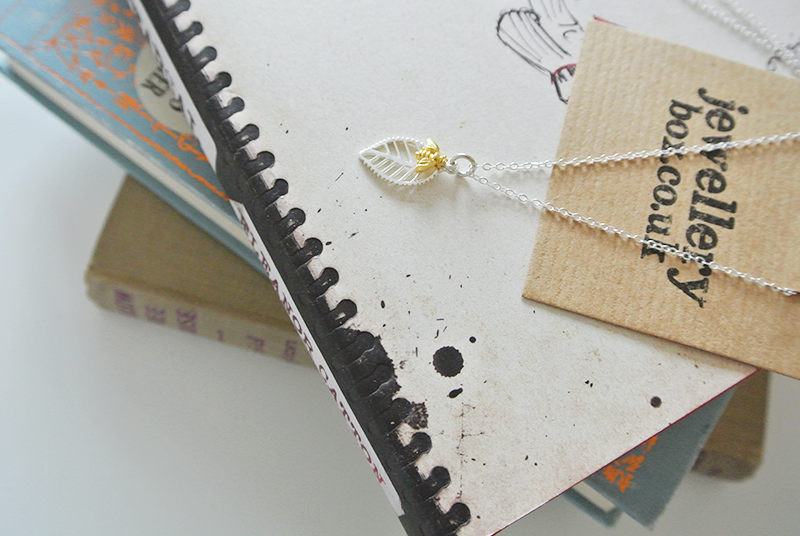 The necklace is currently priced £8.15 on the website. 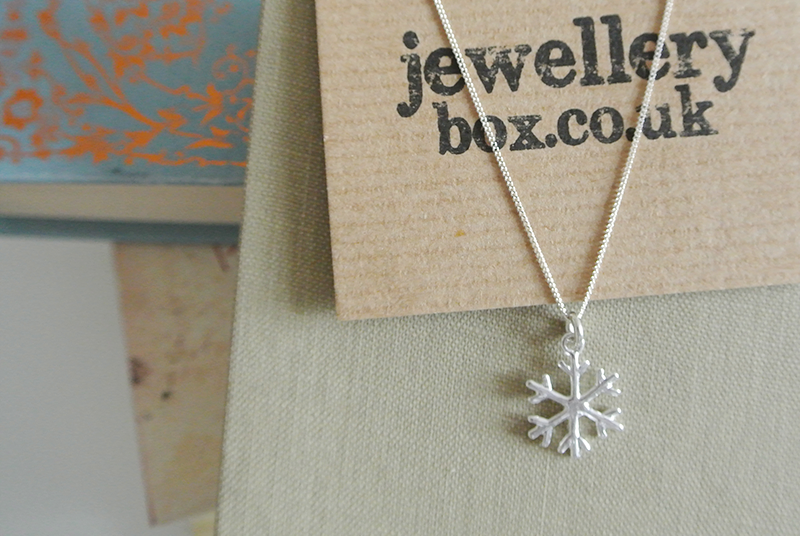 The time of year to wear the above necklace has sadly passed and so it's currently put away safely in its box, but throughout December and January (and even a bit of February) I wore this beautiful Sterling Silver Snowflake Necklace a lot (with matching earrings, also from Jewellerybox). It is £9.95 and you can buy it with six different chain lengths (I went for the 18+2 inch one again as it's great to be able to adjust it). To match my daily collection of dainty silver studs and a necklace I usually wear one or more bracelets too and the above Sterling Silver 7" Arrow Bracelet With Lobster Clasp is one that I wear several times a week. I love how fine the chain is and how delicate it looks on my wrist. If I want something a little chunkier I usually match it with some other bracelets, including a tiny star one I also have from Jewellerybox. This bracelet is just £5.35, bargain! Finally, this is a necklace I don't wear as often as it's more eye-catching and doesn't match all outfits, but I absolutely adore the Abella Bee Necklace in Sterling Silver and 18c Dipped Gold featured above. It's so beautiful and as a lover of bees I of course had to have it. 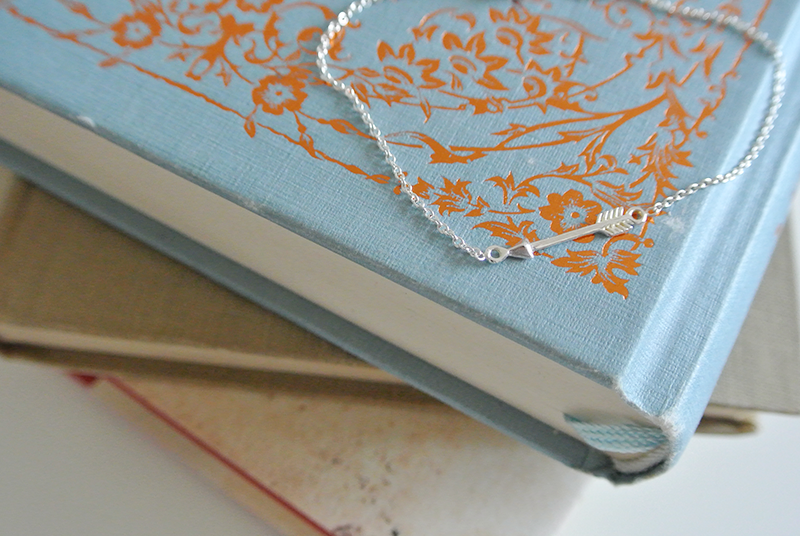 At £14 it's the most expensive piece in this blog post but still an absolute steal, especially considering the detail of the charms and the materials used for this necklace. 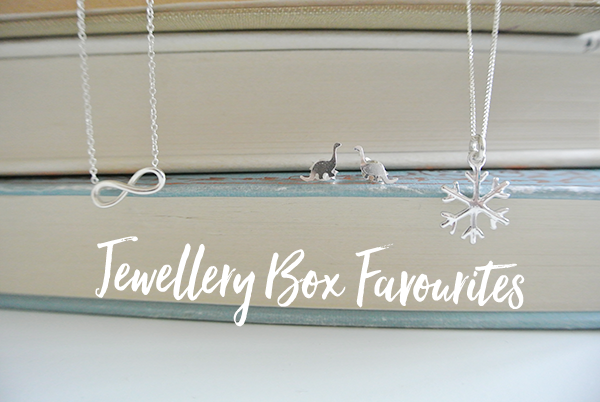 These are just a handful of my favourite pieces from Jewellerybox and because there are many more, keep your eyes peeled for a follow-up post next month. Have you bought any jewellery from this amazing UK brand yet? If so, what are your favourites? This is not a sponsored post. I just genuinely love this brand and the majority of the jewellery featured in this post I purchased myself.